Today, the way brands do their marketing has changed dramatically because of social media. When Facebook launched in 2004, it was really about connecting people. Today, just more than a decade later, social media has become the go-to choice for most brands out there for their marketing communications. It's no longer a nice-to-have. It's a must-have. Conversation and dialog between brands and consumers is something that advertising as we know it never ever delivered. It was the old simple model that led the way to purchase: AIDA – meaning the consumer went through four simple stages – Awareness, Interest, Desire and Action (meaning Purchase). Today there are so many new stages thanks to social media, and each stage offers brands new ways to influence and communicate with their target audiences. And these are mostly organic – not paid. The new stages involve 'engagement', which is way beyond the capabilities of advertising. The stages include Awareness > Interest > Opinion > Dialog with brand & Community > Desire > Shared Desire > Action > Shared Action > Opinion > Advocacy > Loyalty. All of these new stages allows for brands to participate in the conversation. Social media has fuelled the rise of content marketing and brought it mainstream. The role of the brand as content generator or creator is a given today. Add to this a new role for brands that want to stand out: brand as curator or aggregator, facilitator, connector of all stories great and small – around the brand, the customer, the context. This is because brands cannot engage in a conversation without content – you need something to engage your audience – and that's content. Today the brand as content publisher is a reality. 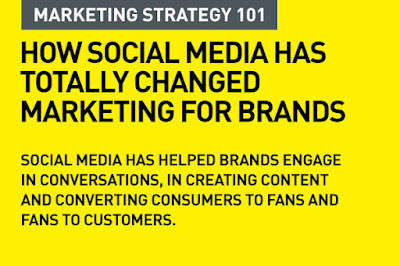 Social media has really changed the we brands can hyper target their messages today. It changes the game from mass to micro. Never before the advent of social have brands been able to deliver the exact message to the exact target audience at the exact time in the engagement cycle. Before advertising on social media, brands had to put out their messages on websites and channels where they believed their target customers would be. Today, with social platforms like Facebook, they can highly and effectively target segments in their audience. With the empowerment of consumers, brands really need to be totally transparent in their communications. They cannot hide behind the one-way advertising game. It is an always-on world, and brands need to be open and honest. And be open to criticisms and negatives that are public – on social platforms. While most of these changes have had a positive impact on the way brands market themselves, there are caveats and pitfalls that brands face because of the open nature of social media. More than ever, it is becoming important that brands get their social marketing and digital marketing right in every way possible. Social media have the pivotal role in marketing which helps to increase brand awareness and loyalty, Provide rich customer experiences,increase website traffic and search ranking (Sea Salt Marketing).